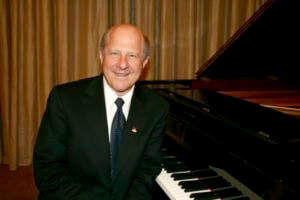 Sunday, December 10 at ​3:00 p.m.
Mr. Rotman, www.samrotman.com, is a Juilliard trained pianist who has performed in the International Tchaikovsky Piano Competition in Moscow and has won numerous competitive piano awards, including Laureate Winner in the International Beethoven Competition in Vienna. He has released several classical recordings and media presentations on his life and testimony have been produced. The public is invited to this performance by Mr. Rotman, a pianist whom reviewers have described as “an exceptional virtuoso” and “a thoughtful interpreter whose playing is convincing and alive”. Mr. Rotman takes a moment before each work to explain the piece, thus heightening the audience’s appreciation of the music. There is no admission charge; a free will offering is suggested.